Cahill Richardson has been a resident of Brevard County for over 23 years. He served in the United States Air Force from 2003 to 2009. During his time in the military, Cahill was entrusted with the maintenance and safety of F-15 and F-16 aircraft. He has a degree in Professional Aeronautics from Embry Riddle University. Cahill volunteers his time and effort to the local community. As an Eagle Scout, he continues to serve the youth of Central Florida through the Boys Scouts of America. Cahill has held numerous positions throughout the years at the unit, district, and council levels including scoutmaster, aquatics instructor, and range master to name a few. He enjoys anything that involves spending time with his two wonderful daughters and lovely wife. 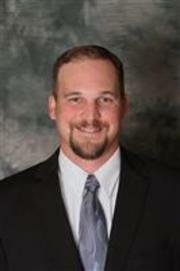 Cahill is a hard working individual dedicated to helping his clients meet and even exceed their needs. His passion is using his vast knowledge to help buyers and sellers realize their dreams. Put his proven skills to work for you today!